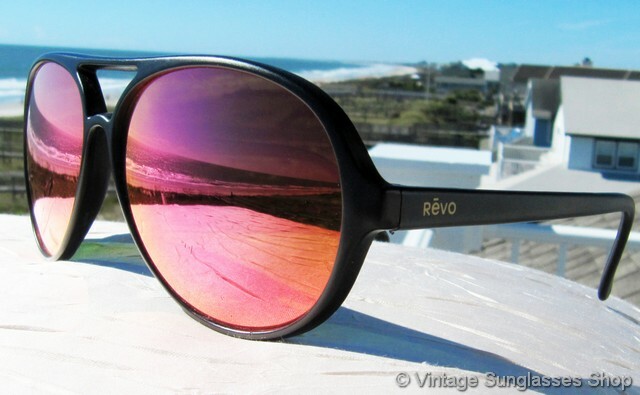 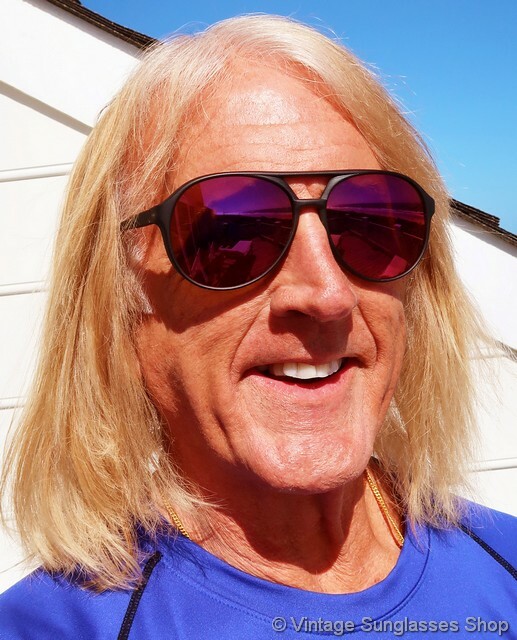 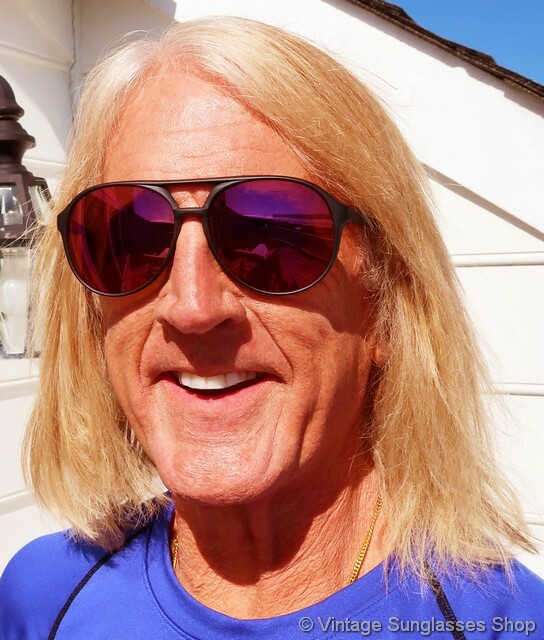 Vintage Revo 800 Grand Venture sunglasses are an icon of gold years of Revo sunglasses production in the 1980s, with a durable, high quality matte black composite frame that holds rare Revo red mirror lenses for a great color contrast. 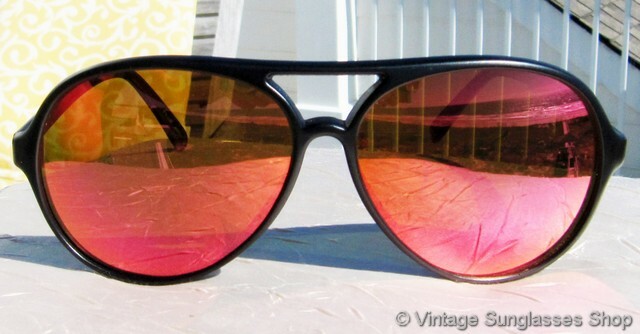 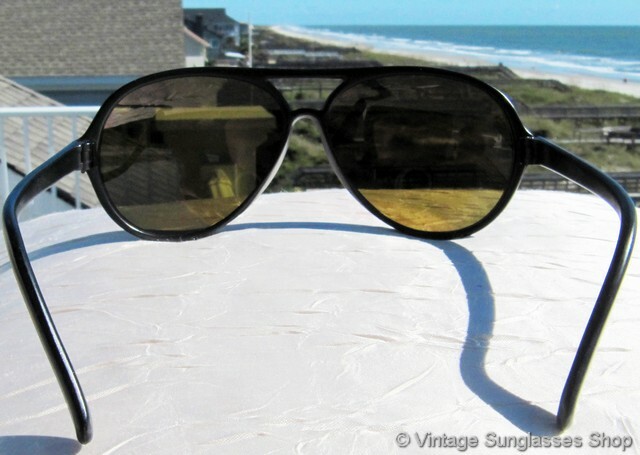 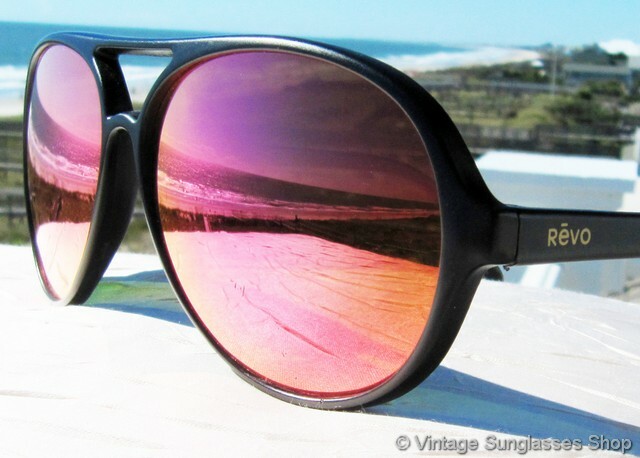 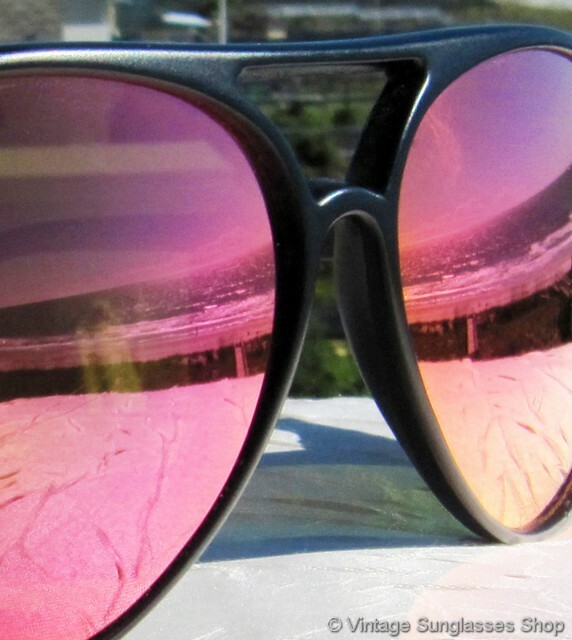 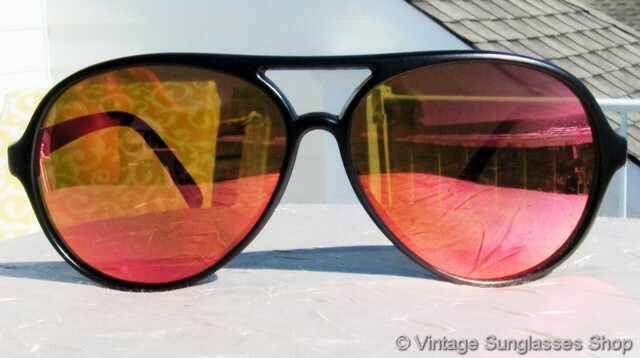 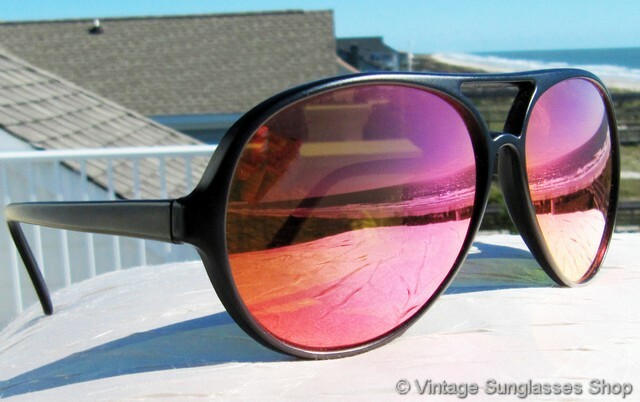 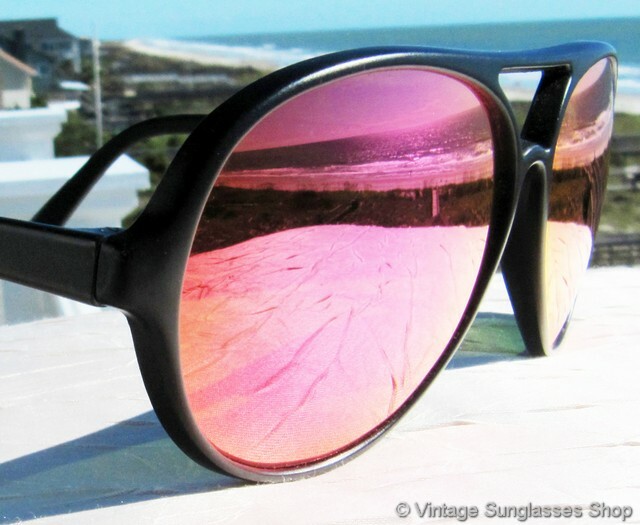 Very few Revo Grand Venture viators were produced in these early years with red mirror lenses, a lens coating color Revo had yet to perfect to the degree they had other mirrored lens colors with technology from the NASA space program. 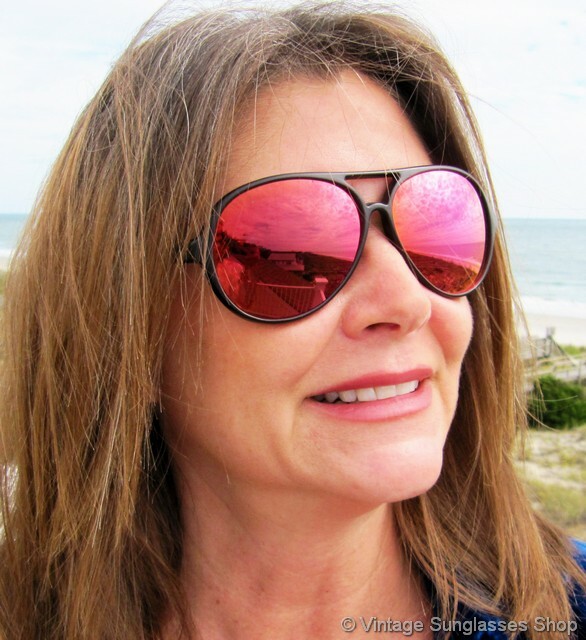 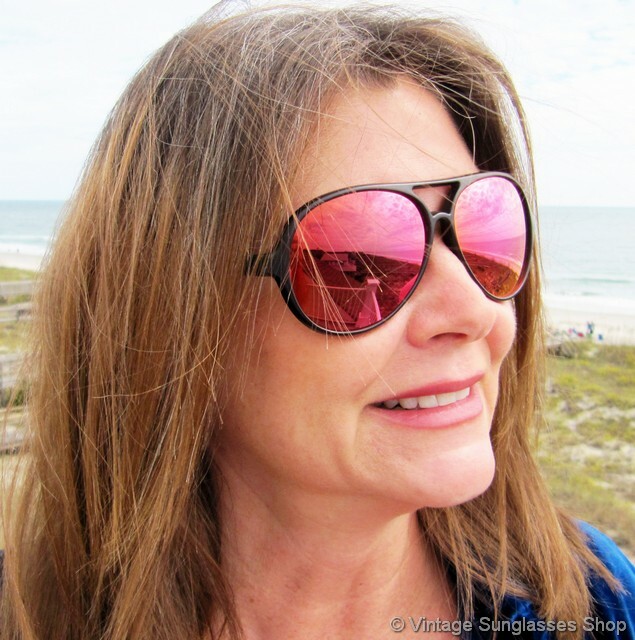 The unisex Revo 800 Grand Venture frame measures approximately 5.675" temple to temple, and the red mirror mineral glass lenses measure approximately 2.25" x 1.875" at the widest points. 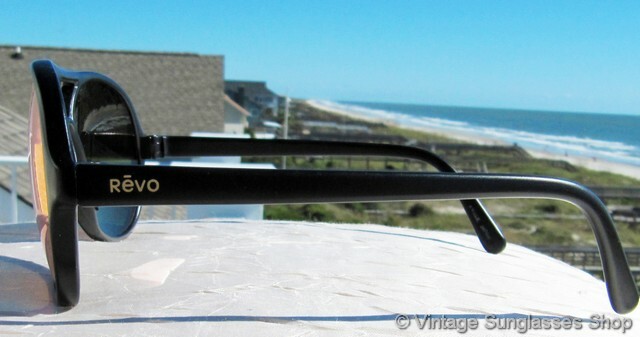 You'll find the Revo logo embossed on the exterior of one ear stem and one ear pad is impressed Frame Japan, part of the collection of a well known television figure and customer of the Vintage Sunglasses Shop.